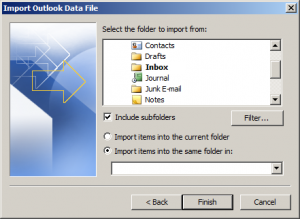 Microsoft Outlook supports two file formats - OST and PST to perform emailing. 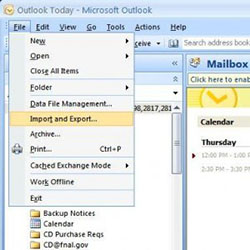 OST is the offline file created when Outlook is used in conjunction of Microsoft Exchange Server. OST file is restricted file; means to say one cann’t open and access OST file outside of its MAPI profile. Sometimes OST file becomes damaged in a way that Outlook fails to recognize it. Apart from these scenarios, there are various reasons which makes OST file inaccessible. Hence in order to access an inaccessible file, you have best option to convert an offline OST to a personal file pst format. In the following section, we will discuss how to convert an offline OST file. 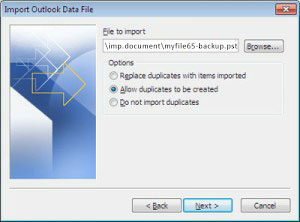 To execute this procedure, make sure that Outlook profile must be connected with Exchange Server and the next thing is that Outlook must be installed on the local computer system. Step 1: Open Microsoft Outlook. Step 3: Import and Export Window will appear, click the “Export to a file” option and press the Next button. Step 5: Select the folder which you want to export. You may also include the sub folders. Step 6: Choose the desired location to save the new PST file and click the Finish button. 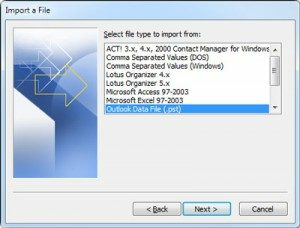 In this method, you will create a new PST file after that use drag and drop procedure to move ost file to another location. Step 1: Open your Microsoft Outlook. Step 2: Go through File menu and then choose Archive. Step 4: Browse the location to save the archived file. Step 5: Then click on Finish. One drawback using this procedure is that you cannot archive contacts. 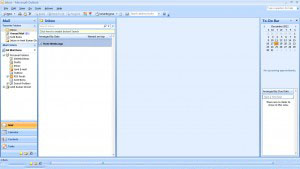 If you don’t have Outlook installation and Exchange Server connectivity or if you have corrupt OST file then you can use third party application to convert an offline OST to a personal file pst. You can learn about how to move an offline ost file to another computer in our previous blog post.